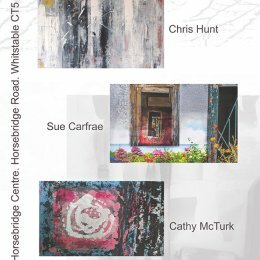 An exploration of place and time in paint, textiles and photography with Chris Hunt, Tina Luise-Hewitt and Margaret Smith. 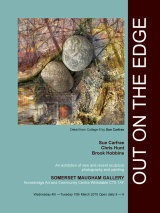 A new exhibition in the Somerset Maugham Gallery at The Horsebridge, a joint show of paintings, photographs and textiles. 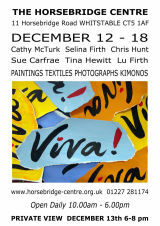 with Chris Hunt, Tina-Luise Hewitt, Sarah Stokes, Margaret Smith and Maia Spall.